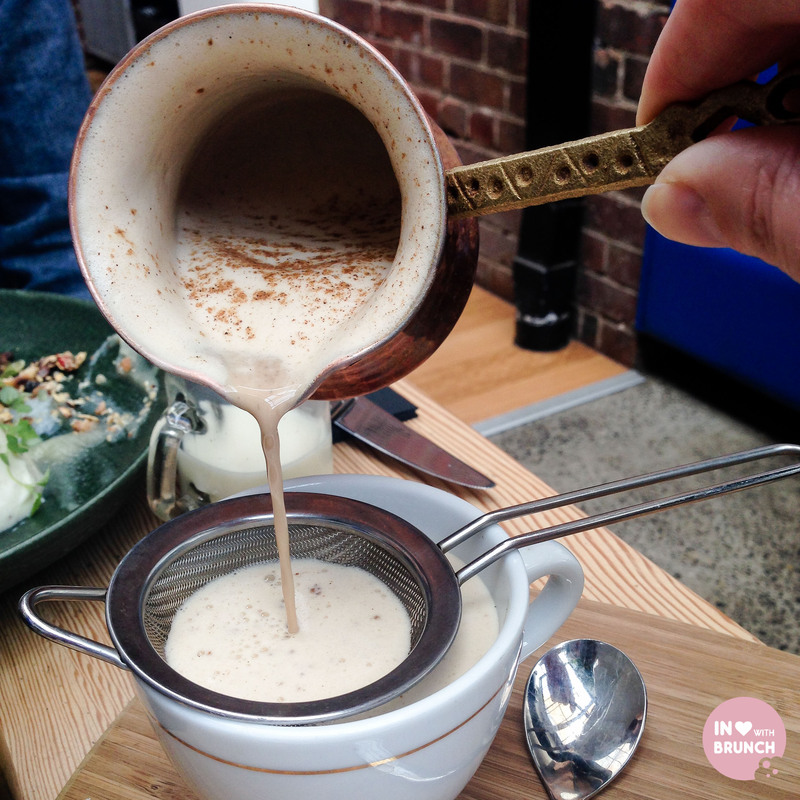 ‘the vertue of the coffee drink’ has been on my wishlist for quite a while now, so with a rare saturday morning free and the knowledge that they’d just launched a new menu, we headed into carlton last weekend to check it out. walking up to the cafe (down the side driveway of a gas station just off lygon street) doesn’t emit the finest first impression – and i’m sure has got a few visitors lost – but all of that was forgotten once we found the little laneway known as raffa place + were greeted by a typical melbourne exposed brick wall + a lovely welcome sign announcing that we had indeed found ‘the vertue of the coffee drink’. my understanding is that this is exactly the experience owner mike cracknell was after – to pleasantly surprise each guest as they enter into the space – and i certainly think he succeeded! 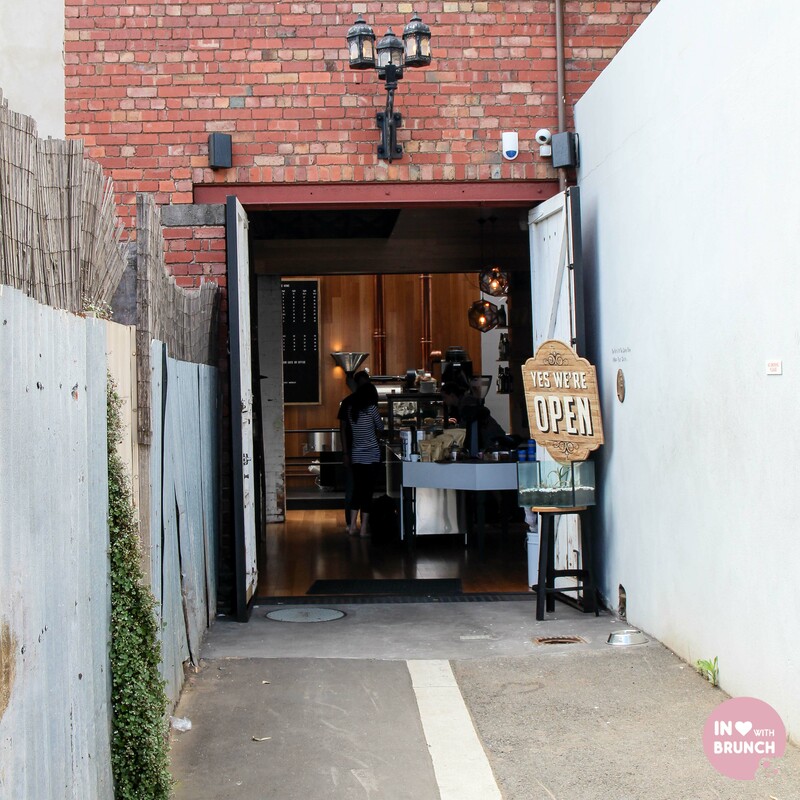 opened in february of this year, the vertue of the coffee drink are a micro roaster, retail space, cafe + kitchen all in one gorgeous location. 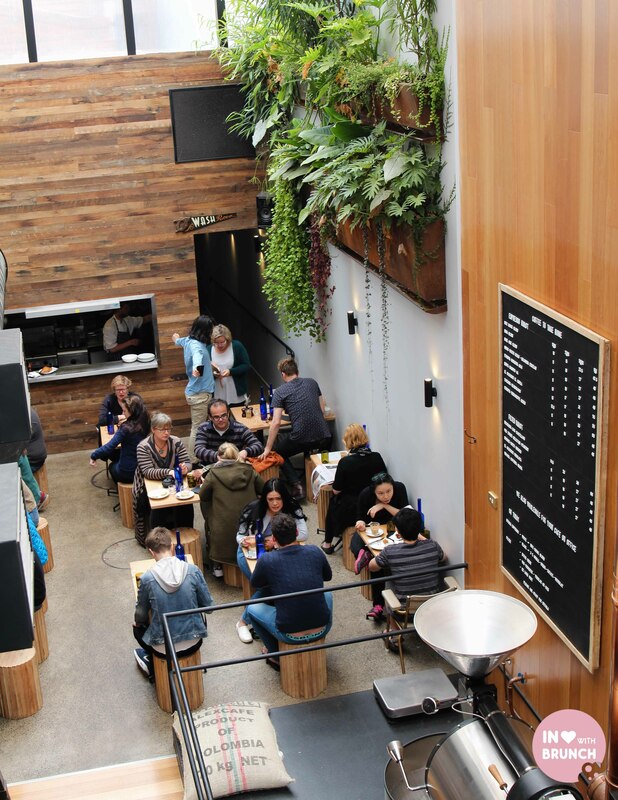 the ground floor is set in a towering greenhouse type space with an industrial feel, transparent glass ceilings which allow plenty of natural light + gorgeous plants hanging from the walls. there is also a smaller eating area upstairs in the mezzanine area. 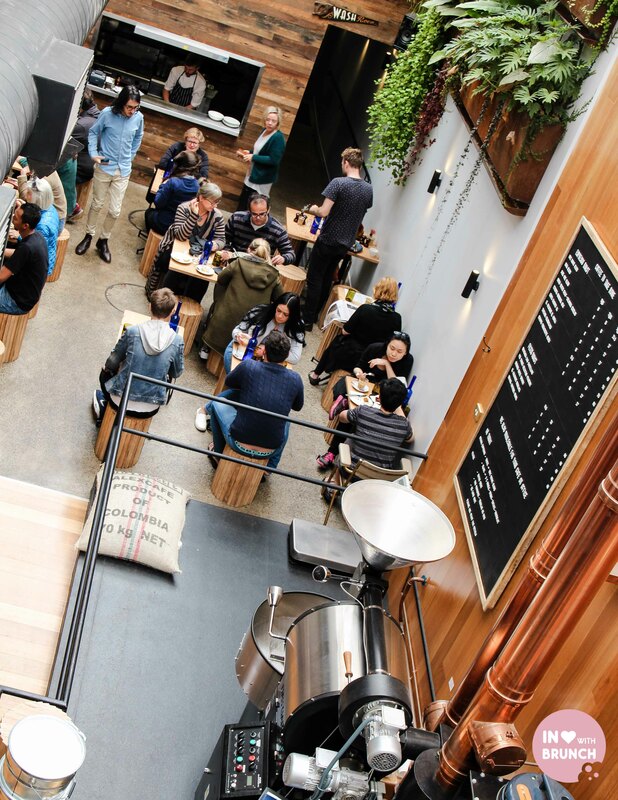 pride of place is the coffee roaster which sits right near a well-displayed retail area that provides all the coffee beans + equipment you could ever want. 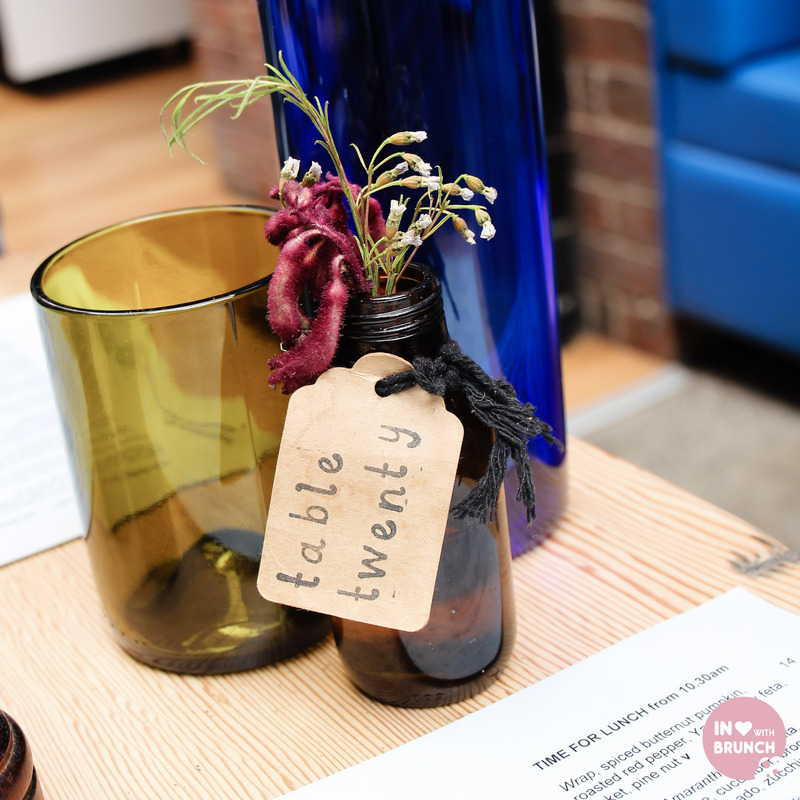 i also loved the cute touches on each table. as you would expect given that the coffee is house-roasted, my flat white was exceptional. owner mike is a self-confessed ‘coffee nut’ and the passion and focus on this really shines through during our visit. the seasonal house blend used at any particular time is carefully chosen to ensure the best possible bean is used – meaning the quality is always on-point. and the schulz organic milk pairs beautifully to created a smooth and creamy texture. my mad as a hatter chai tea with soy milk also had a beautiful taste. 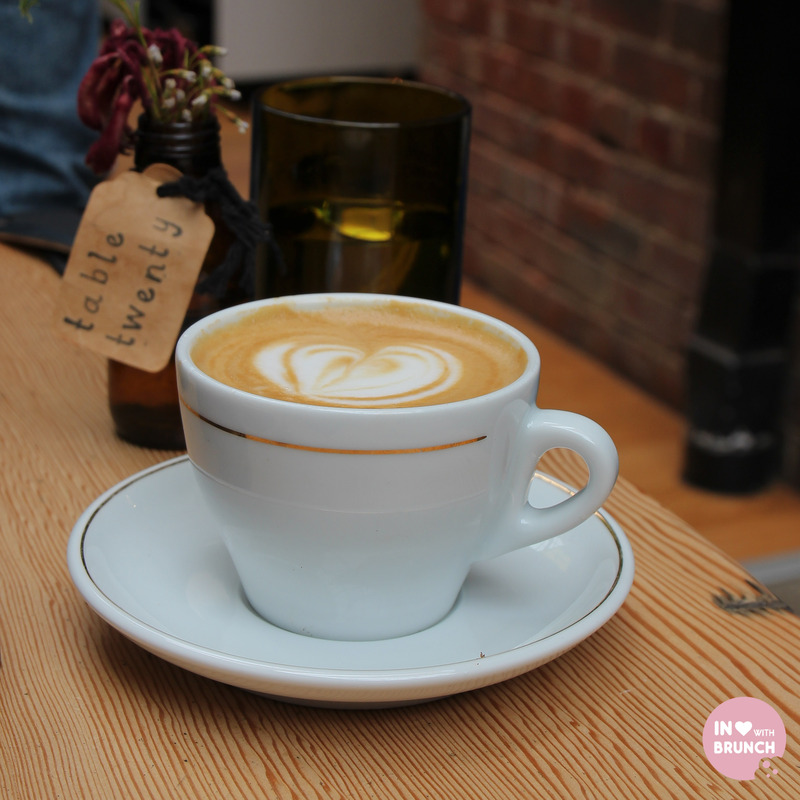 i’m really loving chai lattes at the moment + this one is a local melbourne-made variety from nearby prahran. 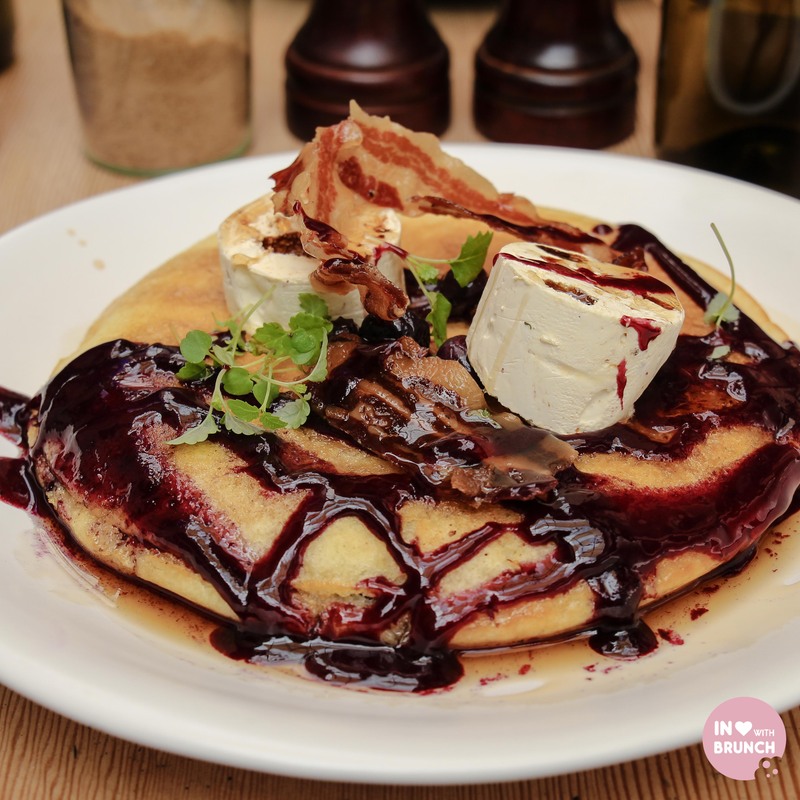 a light + fluffy hotcake, this was a beautifully executed dish without trying too hard to be an “edible flower covered hotcake”. just the right amount of maple syrup + coulis to moisten the hotcake, the crispy pancetta (whilst a very small serve) provided a touch of crisp + saltiness. the highlight for me was the honeycomb butter – it was like icecream, mascarpone + crunchie chocolate all wrapped in one! yum! each of the elements of this dish were delicious in their own right: a complex mix of grains, dried fruits + nuts including pistachios made up the muesli… i would happily eat this with a plain yoghurt or milk. the apple puree was divine – sweet and smooth but still with the crispness of the apple. the verbena buttermilk pudding would make a beautiful dessert – creamy + perfectly set… and the verbena (a herb) added an almost citrus element. however, combined… these were magic! 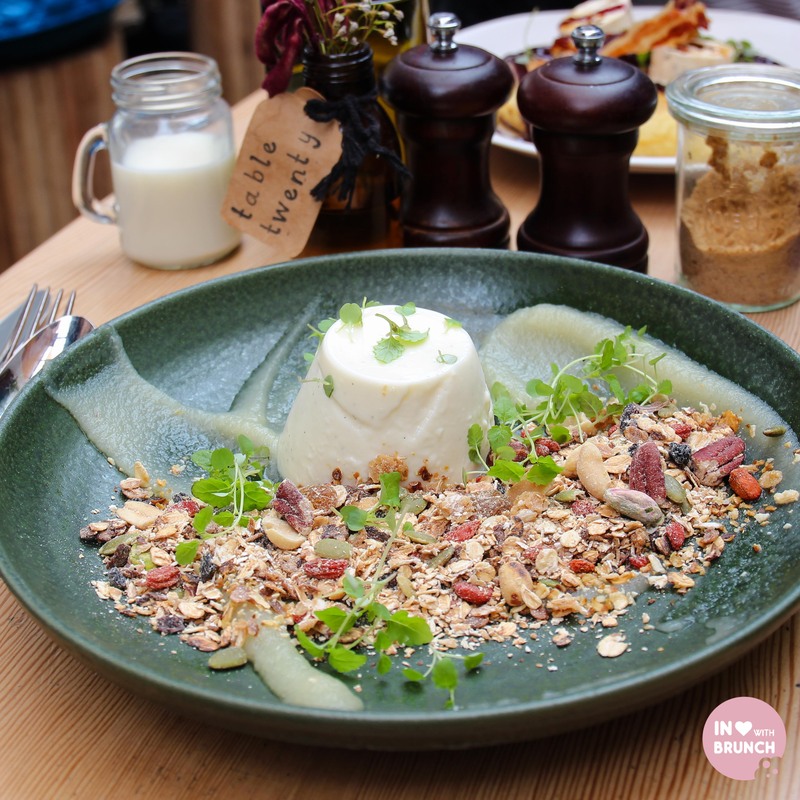 a beautifully textured combination and one of the freshest + tastiest muesli’s i’ve tried in a while! the new menu appears to have some other enticing options including pork belly, salmon + a compressed watermelon chia pudding. 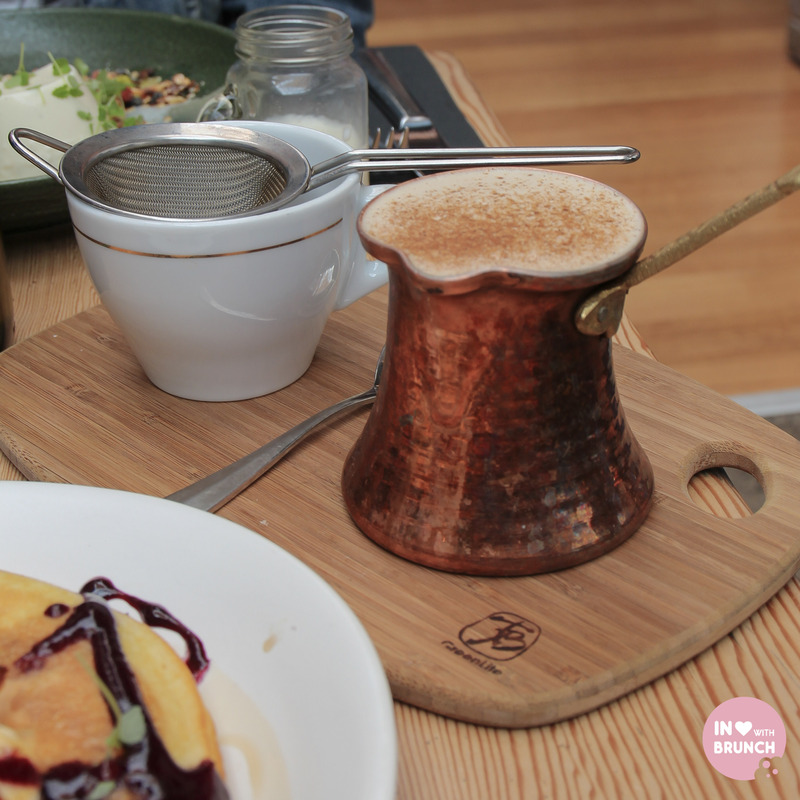 there is also a lunch menu full of variety – and there is no doubt the coffee is exceptional. 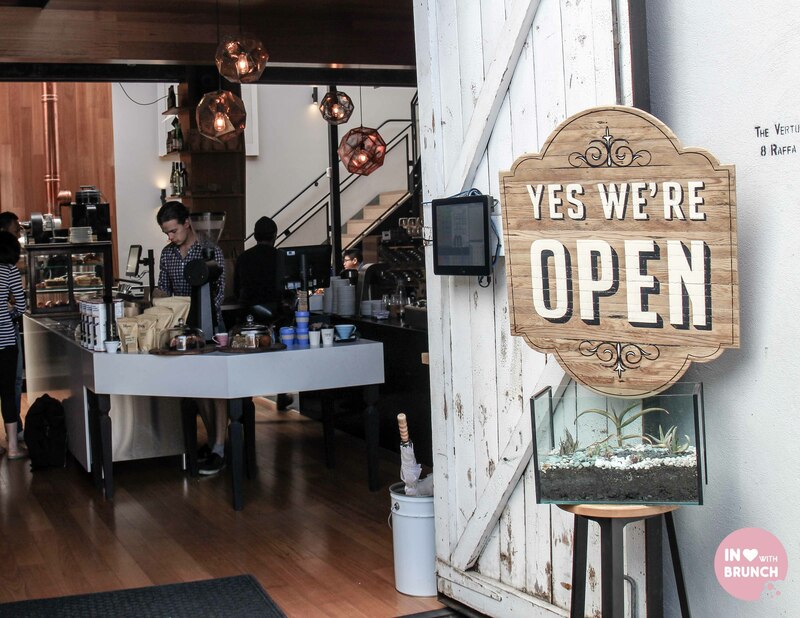 service was also excellent throughout our breakfast – super friendly + passionate staff – both when serving you food + when asking about take-home coffee options. overall, definitely a special find in carlton + one i hope to get back to soon! verdict: both virtuous + vertuous!